As far as 2 year olds go, I know how you feel. I went through it with my oldest and my youngest who isn't quite 1 yet decides from time to time that she doesn't need sleep. Like you, I'm glad it doesn't happen all the time. 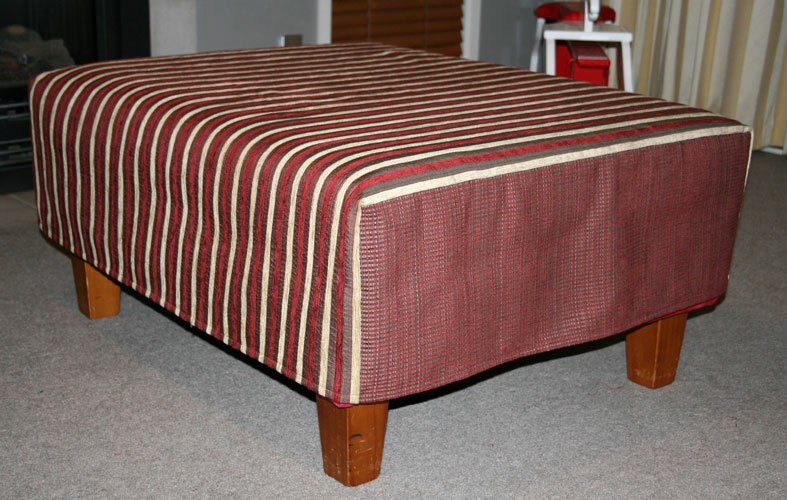 Hey the ottoman cover rocks! Very flash and a good use of your creative talents. Liking the look of my sock too! Oh my gosh, you poor thing! I hope you find some rest and respite soon. With all you've got going on, nobody would balme you if you *did* go completely bonkers. Thank goodness for the crafting outlet. The slipcover and sock look amazing! Miss you, girl! Lots of hugs! Well, I have 4 socks requiring a friend, so between us we have NINE! Stopping by to say hi. Really nice blog! Your knitting is just lovely and so is your sewing. Ah, 2 year olds and bedtime. What until he's a teen, and you can't blast him out of bed with dynamite. I just sent you package today. I hope that its contents reach you intact and that the warm weather here in the US doesn't ruin it. I hope you are doing well! yup 2 year olds and day sleeps, I miss those sooo much. 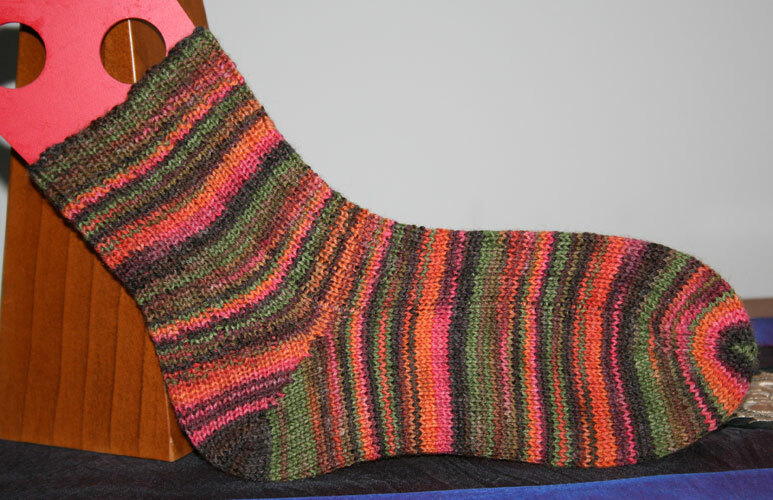 where did you get your lovely trekking and fab sock blockers from? I'm full of kiwi envy!